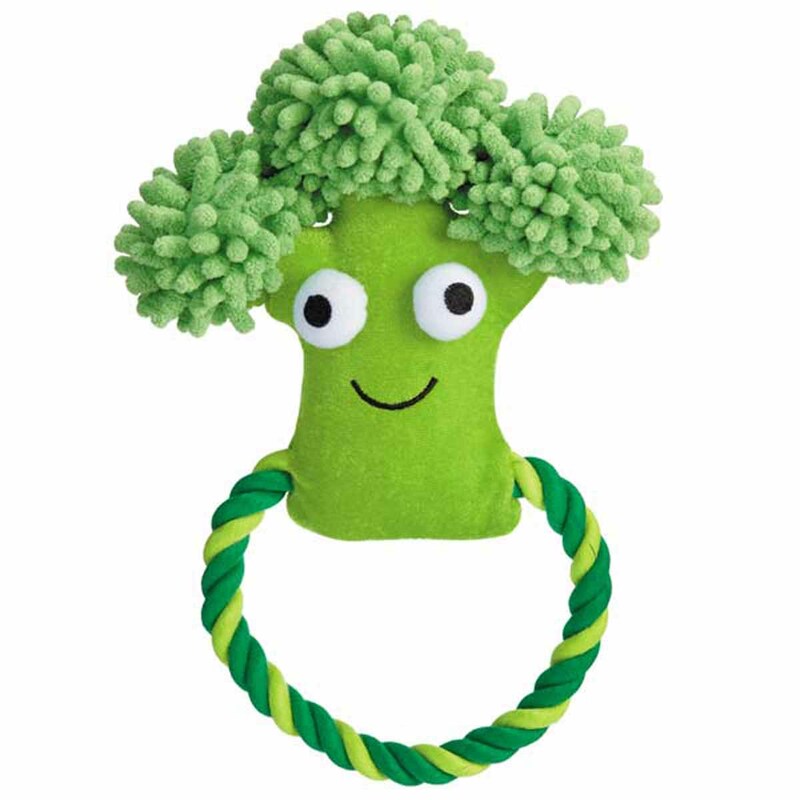 Double up your pups playtime fun with a healthy Grriggles Happy Veggies Rope Tug Dog Toy Broccoli! 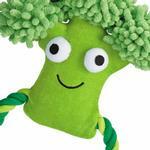 So far my dog's favorite toy!! Loves chewing on it. Posted On 06/09/17 by Loida Cardenas from West Palm Beach, FL Yes, Loida Cardenas recommends this product! 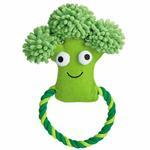 My doggy loves the eyes on the Veggie ?? Posted On 02/06/17 by Darlene B from sandwich, MA Yes, Darlene B recommends this product! This toy is PERFECT for my pup and he loves it! He is not a power chewer, but I suspect if you have one, the durable rope on this will last! It tosses a far distance when you hold the rope when throwing. The rope is great for teething pups! Posted On 04/27/16 by Nina L from , Yes, Nina L recommends this product! Cute toy. Good for interacting with my pup. Good enough to eat (for the pup, that is)!